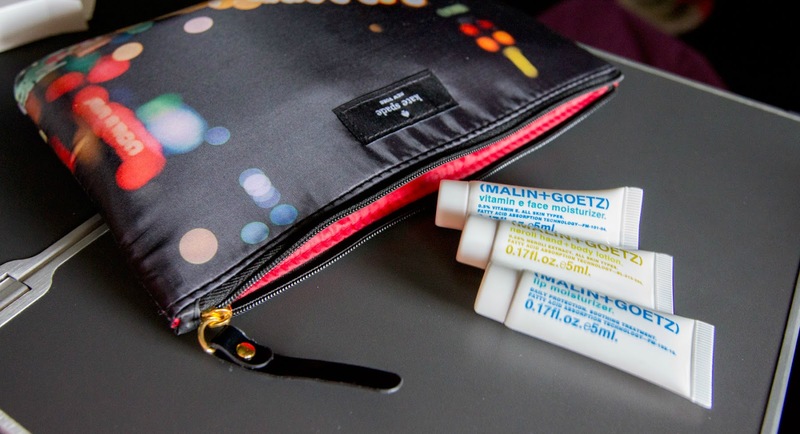 Win a Kate Spade amenity bag (plus Malin + Goetz travel products)! Guess what? It's our blog's one month anniversary, and to celebrate, we're giving away a brand new Kate Spade amenity bag produced exclusively for business class travellers flying on Qantas. 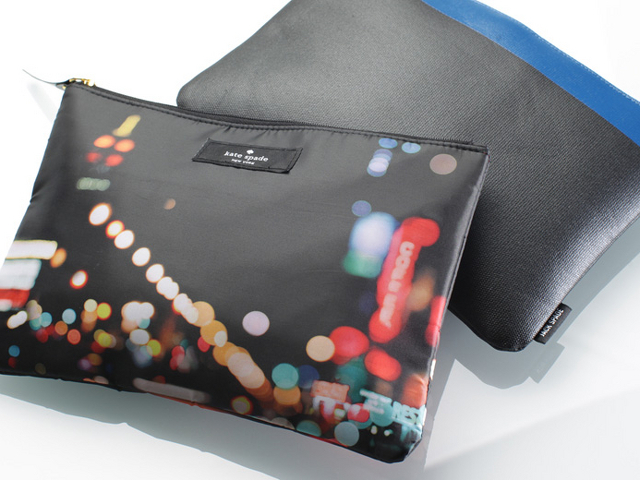 The bag, created by the famous New York designer, is inspired by the city night lights of New York, and it's perfect for storing cosmetics while travelling - or even an iPad Mini or Amazon Kindle! Items inside include a pair of comfortable, soft black socks, a handy eyemask, packaged foam ear plugs, toothbrush and miniature toothpaste, and travel sized Malin + Goetz products, including lip moisturizer, neroli hand and body lotion, and vitamin e face moisturizer. In order to go in the running to win this prize (and yes, we'll ship internationally for free), tell us in the comments section below which New York designer created this gorgeous amenity bag (and remember to check our Facebook page on 25 January 2015 to see if you've won! ).